Andrew is a HR Transformation specialist with over 20 years experience leading complex change management programmes in the UK, Europe and US. He has worked with leading outsourcing and consulting companies Accenture, Deloitte and AON Hewitt. Andrew established Glass Bead Consulting in 2006 with the aim of providing an alternative approach to HR Transformation. Andrew's passion is building better workplaces and spends his time researching, consulting, writing, speaking, training and coaching. He has worked on over 22 major transformation programmes with organisations including; BP, John Lewis Partnership, Novartis, United Health Group, ESAB and the UK Public Sector including NHS (National Health Service) Trusts, Department for Transport and HM Prison Service. HR and Workforce Transformation – "many of our people management practices belong to the last century and need to be redesigned for the digital economy." I work with organisations to think through how work will be delivered in the future. Andrew has designed and delivered critical elements of HR Operating Models including; HR Shared Services, Centres of Expertise, HR Business Partners, HR Outsourcing and HR Technology. He supports HR Directors take a complex set of organizational problems, and help create a clear vision, and a deliverable plan. Andrew has a MSc in Cognitive Science and Artificial Intelligence from Birmingham University and a BSc Psychology. Andrew is a Professional Member of the Center for Evidence-Based Management (CEBMa) and uses an evidence-based approach to research, decision-making and organisational programmes. His most recent research, “Blockchain and the CHRO” was published for the Blockchain Research Institute, founded by Don Tapscott and Alex Tapscott. Andrew is a Fellow at the RSA. The mission of the Royal Society for encouragement of Arts, Manufactures and Commerce is to enrich society through ideas and action. 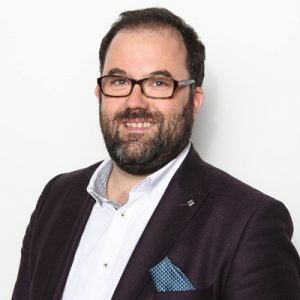 He is a Board Advisor to various start-ups, including Dock and WorkChain.io, building solutions to solve workforce challenges using techniques in people analytics, artificial intelligence, blockchain and Organisational Network Analysis (ONA). – Speaking at HR and technology conferences around the world, including Moscow, Sydney, Budapest, Paris, Amsterdam, Copenhagen, Athens & London. Keynote topics include Opportunities for Automation in HR, People Analytics and the Future of Work. Also chairing and moderating conferences and panels, including People Innovation Summit in Moscow, HR Change & Transformation Conference in London and UNLEASH in Paris. 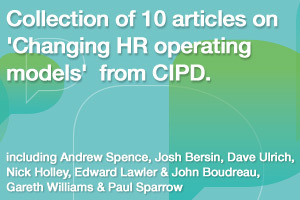 – Published articles for CIPD, RSA, HRO Today Global, HR Zone, The HR Director, Strategic HR Review and Evaluation Centre and guest blogger for UNLEASH since 2014. Also media commentary in Bloomberg, HR Magazine, Hays Quarterly and Personnel Today. – Developed modular training courses, including, “7 Steps to Transform HR” © methodology and training programme which was delivered in Moscow, London, Singapore and Kuala Lumpur.